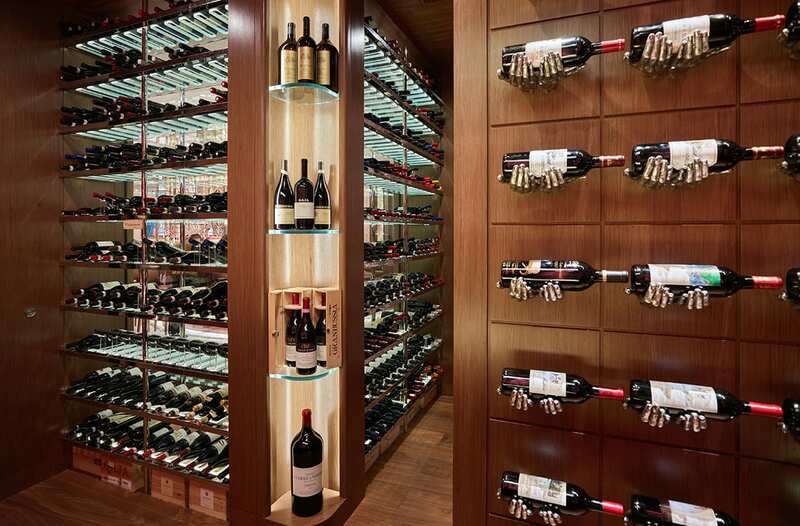 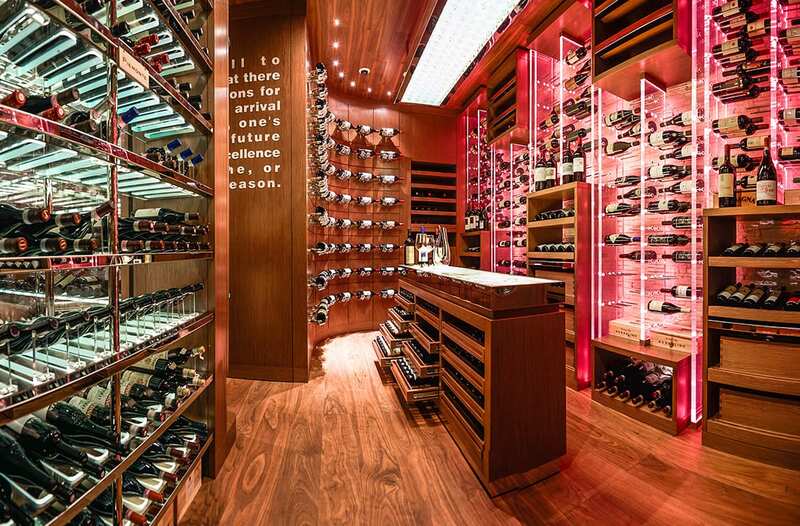 An impressive collection of top Italian wines rests in this cellar belonging to a restaurant operated by the famous Italian chef Bombana inside the Ritz Carlton Hotel of Galaxy Macau’s Phase 2. 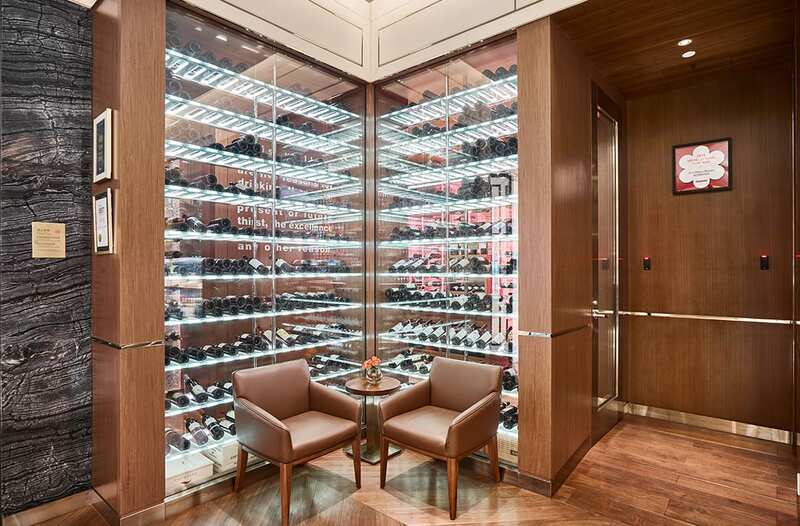 The restaurant –8 ½ Otto e Mezzo– is a 3 Michelin starred restaurant and its cellar which has a capacity of 1540 bottles is designed and built by Focus Wine Cellars. 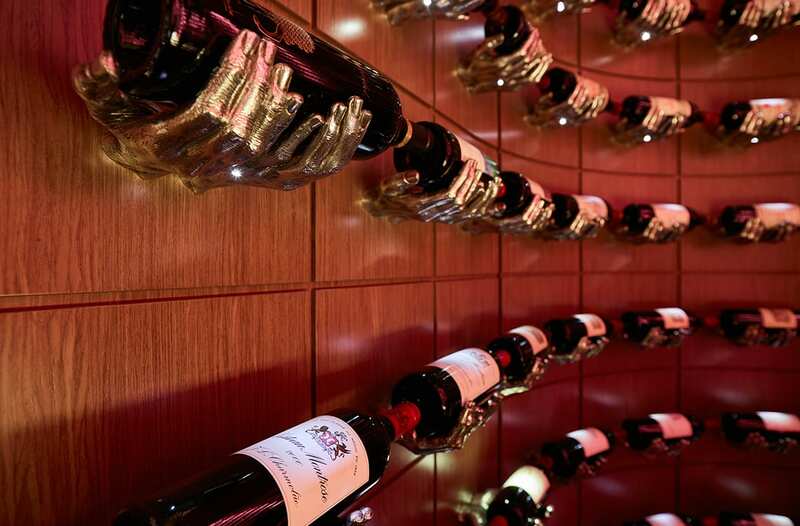 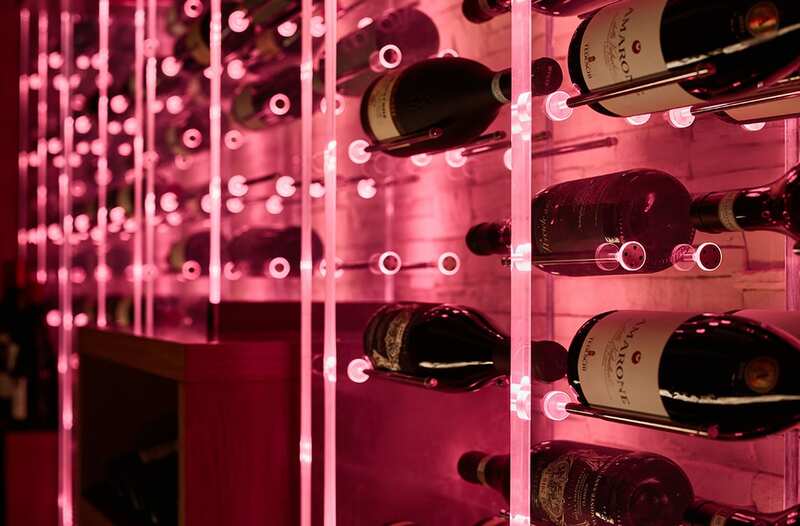 The most striking feature that makes this cellar unique is a special wine display wall composed of 56 individually cast and silver-clad hand sculptures each with its individual label lighting.